It turns out that Wisconsin has a lot more to offer than the nation’s best cheese. There are numerous forms of legal gambling available in the Badger State, making WI a very gambling friendly region in many respects. Not all of the gambling initiatives taken on in the state have worked out perfectly, but all in all lawmakers and the public in general have been fairly receptive to the concept of gambling. 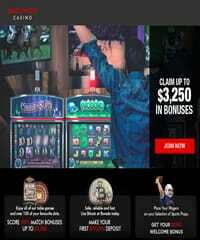 The bulk of gambling opportunities in the state consist of tribal gaming that is in place due to state compacts with 11 different tribes residing within the state. A state like Wisconsin that offers a healthy slice of gambling entertainment comes with a plethora of gambling laws in place to establish and regulate the industry. The objective of this page of our guide is to provide insight into the legal landscape concerning gambling entertainment in the state of Wisconsin. We intend to provide helpful information that delivers a clear and concise picture depicting the legal status of betting in all its forms, both online and offline. We are not attempting to provide professional legal services or advice, nor do we intend to substitute for professional legal services. If you have specific questions or concerns that require definitive legal input we suggest you contact a licensed attorney familiar with gaming law in WI. Is Online Gambling Legal In Wisconsin? Laws And Statutes To Consider. The statutes and laws in Wisconsin do not include anything pertaining to online gambling. The state’s laws do not expressly authorize any type of state licensed online gambling entertainment, nor do they prohibit residents from enjoying online betting at licensed offshore gambling sites. That being said, it is not legal to own or operate an online gambling site within Wisconsin’s borders. The state is not willing to provide any licensing of this nature at this time. As long as players are selective about where they bet online, there are not laws preventing them from doing so. When we say selective, we mean limiting online gambling activities to only those destinations that are legally licensed, regulated and located offshore. There are no state laws or federal laws that prohibit this type of legitimate online gambling. As mentioned previously, lawmakers have not authorized state licensed online casinos in Wisconsin. This means that you will not find any type of online casino operation that is based within the boundaries of Wisconsin or that is regulated by the state. There are alternatives however in the form of licensed and regulated offshore Internet casinos accepting players from Wisconsin. These legally sanctioned online casinos are located outside of the United States. 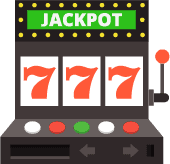 We have provided a refined listing of the international online casinos that offer a safe, reliable and high quality online gaming experience. We have personally vetted each one of them to verify their legitimacy and their quality. You are not going to find legally licensed US based online sports betting anywhere in the United States. The reason for this is because of the application of the Federal Wire Act, which expressly outlaws any online sportsbook gambling sites from operating within the United States. Even states that are permitted to offer bookmaking at brick and mortar destinations are not permitted to provide online betting services. The Federal Wire Act does not eliminate all options for Wisconsin gamblers and sports fans. A number of legally sanctioned, high quality online sportsbooks accept customers from Wisconsin and provide a premium online betting experience. These sites are able to offer a strong selection of sports coverage, a wide range of betting lines and a variety of wagering options. You will also find advanced features at your disposal from these sportsbooks, including live betting, live in play betting and mobile betting options. We have provided access to the most trusted sportsbooks in the industry. They are all licensed and regulated offshore and offer betting lines and odds that are comparable to the Vegas bookmakers. We can recommend each of these sportsbooks enthusiastically. While there are multiple options for playing live poker in Wisconsin, the state has not authorized the licensing of any WI based online poker sites. With state regulated online poker out of the picture for now, players in WI can legally play poker online at any of the legitimate poker sites recommended on this page. Each of them holds genuine licensing and compliance certifications, and is subject to regulatory oversight. They are based within a jurisdiction that has legalized online poker and that offers their gaming services to players around the world. It is perfectly legal to engage in online poker at any of these destinations. You will find that these poker sites all offer impressive gaming features, a customizable experience, fast paced hands for those who enjoy that type of game, an active poker tournament schedule and generous promotions and bonus offers. We ourselves are players at the brands we have recommended to you. What Is The Legal Minimum Gambling Age In Wisconsin? All forms of gambling in Wisconsin carry a minimum age requirement of 18 years old with the exception of casino gaming, which carries a legal minimum age requirement of 21 years of age. Penalties for underage gambling typically lie with the offending gambling operation and are considered a misdemeanor that can result in a fine and/or jail time. Will Wisconsin Be Legalizing Online Gambling Anytime Soon? Wisconsin is a fairly pro-gambling state, with a healthy portion of gambling entertainment available. While gambling expansion on the commercial side has been rejected in recent years, we anticipate that the state’s desperate economic situation may allow them to overcome these obstacles and consider an online gambling initiative. Gambling expansion commonly takes place when a state is in dire need of an additional revenue stream, and online gambling might just be the ticket for them. There are not any discussions at this time related to online gambling, however since gambling expansions is being actively considered, we would not be surprised to see online gambling come up during negotiations. Will I Get Into Legal Trouble If I Gambling Online In Wisconsin? WI lawmakers may not have legalized state licensed online gambling yet, but there are no state laws that prevent players in the state from engaging in online gambling that is provided by a legally licensed and regulated gambling site located outside of the United States. That means that if you selectively limit your online betting to legally sanctioned online gambling sites, then you are not breaking any Wisconsin state laws. There are also no federal laws prohibiting this type of legitimate online betting. The gambling sites recommended in this guide are all legally operating with in the industry and they all accept players from Wisconsin.